WEST COAST PREMIERE! In rural Tennessee, 1961, protesting is a privilege with unintended consequences. In rural Tennessee at the height of the Civil Rights Movement, two young African-American couples struggle to understand justice, love, and their own responsibilities. 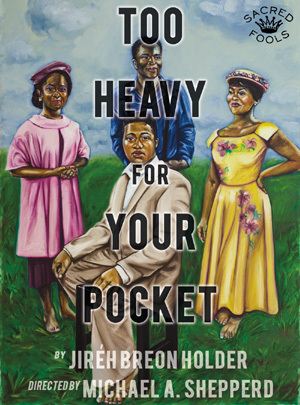 TOO HEAVY FOR YOUR POCKET beautifully explores the sacrifices and tolls in the fight for freedom and equality that are placed, not only on the fighters, but the people they love. Performing in the Broadwater Black Box. FIVE SHOWS ENTER... THREE SHOWS LEAVE. The hit late night show... now in its THIRTEENTH season!